2018 was the year I began to learn surfing in earnest. In the years leading up to this, I'd tried surfing before. A lesson in Hawaii, a board rental in Mexico. When I started, I always felt like I was flailing in the water. Humankind's domain is land, not the ocean—and nothing better encourages that realization than paddling with your noodles-for-arms into the surf and getting pummeled by the oncoming force of tens-of-thousands of foot pounds of water pressure. This perspective was changed by Indonesia. In Bali specifically, where ironically many locals don't swim or fish because the Ocean is where the majority of Bali's brand of Hinduism decrees is the home of the vast population of demons and ogres. 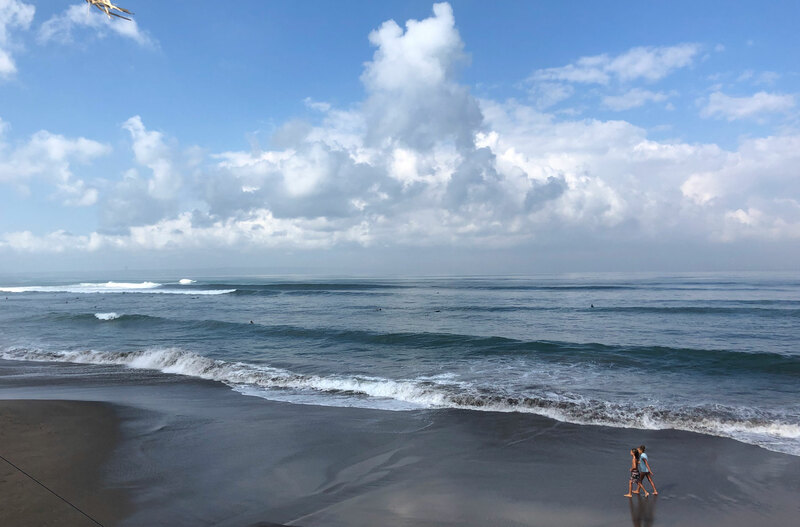 Our first place was in Canggu, Bali – just a 10 minute drive from Batu Bolong Beach. There, regardless of season, the waves break from 4 to 10 feet in luxurious, comfortable warm water. I rented a surfboard for $10 and paddled out. And for the first time, surfing clicked for me. The hardest thing about surfing is advancing from the ability to just get up to the point of reliably catching your own green waves and turning down the line. It's a miracle that California has waves. In the Pacific ocean, where water depths reach 2000ft on average, there is thousands of miles of deep, uninterupted water. 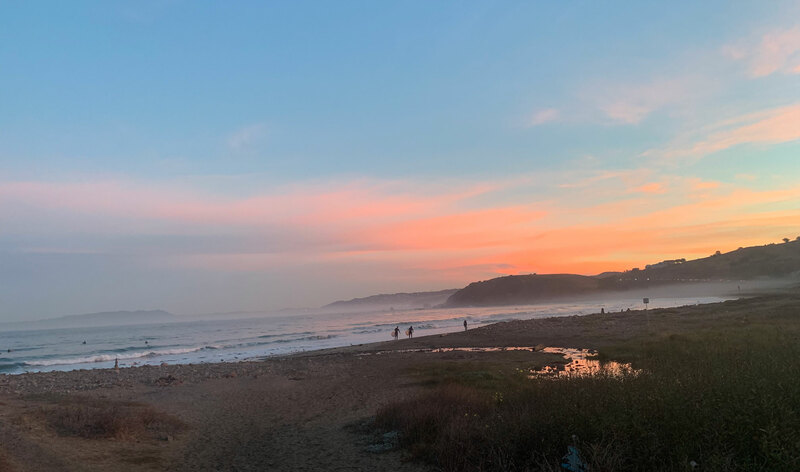 Here waves can build up speed, size, and distance from one another before meeting for the first time, the shallow waters sitting just a mile or so of the California coast.